Evolving significantly from fine dining to specialising in Tapas and Cocktails, this is a business that has grown along with its community to maintain and significantly increase its market share. 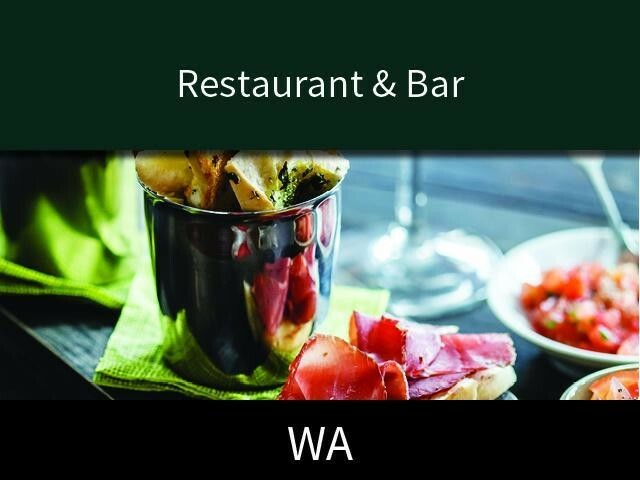 A well established restaurant operation that has been operating for over 9 years under the current director and is well known internationally and locally for the quality and value of our two specialties, tapas and cocktails and our level of customer service. All of staff have been with the business for some length of time and are professional and exceptionally good at making the most of every opportunity to increase sales, operating an efficient, cost effective business. This business has firmly established a solid reputation for good food and excellent service holding it's market share through their point of difference to other venues in their ocean marina location and the region as a whole. It is a business that gives a potential buyer a solid base to keep growing and huge support locally to continue operating as a cost effective sustainable business. numerous income streams aside from the core Restaurant and Bar business. Strategically developed over the past 9 years this business has capitalised on market share by astutely offering catering service off site as well as on site with a key involvement in local council events, in addition partnering with other businesses offering tourism packages for weekend visitors from Perth and the surrounding region. Also currently partnering with Menulog to be included in their offers. Located in a busy ocean marina the business offers a dining experience where customers are able to relax while enjoying some of the South Wests best scenery and relaxed environments. extends right out to the glass and waters edge on both sides. The business is currently in the process of planning marketing activities and implementing a robust marketing strategy, to support additional services and activities designed to increase revenue. The owners are strongly focused and heavily involved in undertaking the development and establishment of these associated activities, resources, sales, costs, menus etc while managing the current events on the calendar and daily operations. This Bars/Nightclubs Business is one of 10 businesses for sale in South West WA, Western Australia, and one of 24 Bars/Nightclubs Businesses in this region that a business for sale currently has on offer. This Bars/Nightclubs Business is for sale in South West WA for the asking price of $950,000 + SAV and is new to the market.